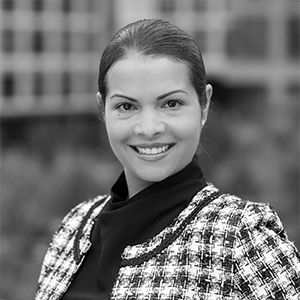 A pioneer of the the Brooklyn commercial market boom, Caroline Pardo brings 17 years of retail and office leasing experience. She helped curate some of the most vibrant and successful neighborhoods in Brooklyn including, Dumbo, Downtown Brooklyn and Industry City. Caroline previously held roles with Two Trees Development, Jamestown Properties and Ingram and Hebron. Caroline will be building new services that are a natural extension of the powerful TerraCRG platform. She will lead the development and growth of the commercial team focused on owner asset monetization and leasing in Brooklyn. Prior to TerraCRG, Pardo held several positions including Two Trees managing director for its commercial leasing division. There, her close relationship with the Walentas’ family, helped create a vibrant environment for businesses that was unprecedented in Brooklyn. She was a pivotal force in helping evolve Dumbo from an artist/loft neighborhood to the first class office environment it is today. Caroline was one of the first brokers to help bring both popular and luxury brands to Downtown Brooklyn including Barneys, Trader Joes and Urban outfitters. In addition, she also closed key office deals for growing enterprises across both the public and private sectors including Made in NY Media Center, NYU-Poly Dumbo Incubator, Etsy, Red Antler, Big Spaceship, Huge, Big Duck and Aden and Anais. In 2015, Caroline joined Jamestown Properties to help accelerate the transformation of Industry City. Pardo served as director of leasing for a multi-company partnership that included, Jamestown, Belvedere Properties and Angelo Gordon. She and her team worked on the redevelopment of six million square feet on 30 acres of industrial property. During her tenure, she leased over 500,000 square feet of retail, industrial and office space. As part of this initiative she created the workshop program where larger blocks of space were converted into smaller studios designed to pull in small and midsize creative businesses with longer term growth plans. After more than a decade of working for the top developers in Brooklyn, Caroline joined Ingram & Hebron, where she was responsible for creating new business opportunities for both landlords and tenants. She used her vast owner and tenant representation experience to identify prospective tenants for the firm’s extensive listings such as SL Green’s 16 Court Street and JW Mays. Specializing in the Brooklyn marketplace, Caroline’s success in real estate can be attributed to her extensive local market knowledge, superior marketing strategies and uncompromised integrity. She also understands all sides of the leasing business, having spent significant time with developers, retail and office tenants. She also understands the needs of small businesses. As an owner/founder of a growing brand of indoor children’s playgrounds called “Recess”, she is well versed on consulting and guiding smaller businesses as they look to grow. She attended Hofstra University, where she studied speech communications and rhetorical studies. Pardo served as co-chairperson of both the Brooklyn Chamber of Commerce real estate development group and the Brooklyn Historical Society real estate roundtable. She was on the board of Jazzreach, a not-for-profit organization that seeks to foster a greater appreciation and awareness of Jazz music through the presentation of multimedia programs for young adults and in 2014 was voted by Bisnow as one of the 50 most powerful women in NYC commercial real estate.